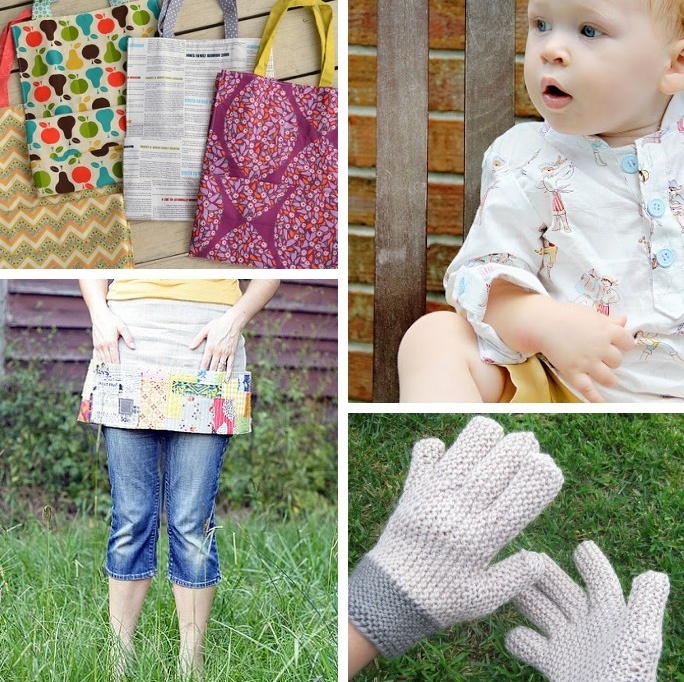 I’m so excited to be joining Craft Buds for their 3rd Annual Craft Book Month. 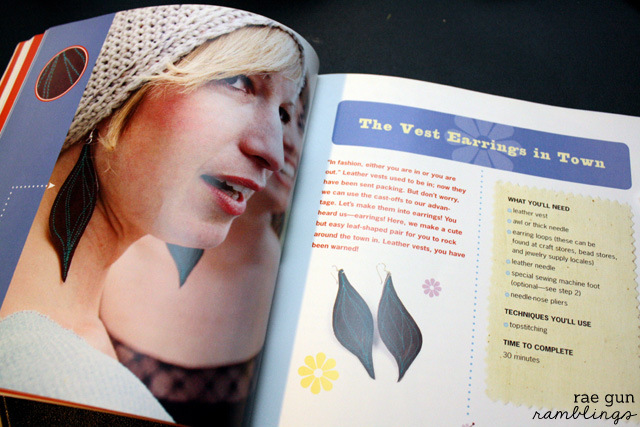 The whole idea is to pull out those craft books that we’ve collected and actually put them to use. I have to admit I am definitely guilty of buying craft books and not actually trying any of the crafts. So when Lindsay asked if I wanted to participate I jumped at the challenge. I’ve already learned how great accountability is with the Sew Our Stash challenge I figured this was just the motivation I needed. 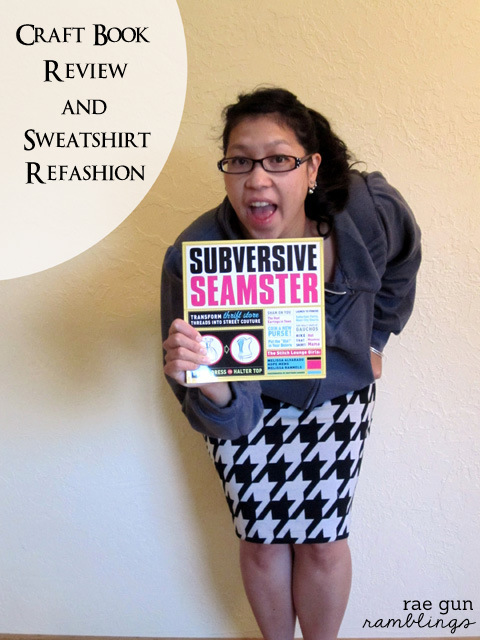 I picked Subversive Seamster, a book that a friend actually left in my sewing room…on purpose. But when you have a sewing room like mine that’s not as weird. She just figured since I host craft days it would be a good resource to share. It’s one of those hip edgy books with a focus on upcycling and getting you to used what you have as opposed to real technical sewing. I really like how the book is laid out. It starts off by going over a bunch of techniques like adding pin tucks or making poofy sleeves and then each of the projects reference back to the first instructions. I thought this was great since it kept the actual instructions shorter and less daunting and it gave me a good idea of how to use various methods in different ways which I think makes it easy to stretch it even further to projects that aren’t in the book. For my project I picked one where you fancied up a sweatshirt. 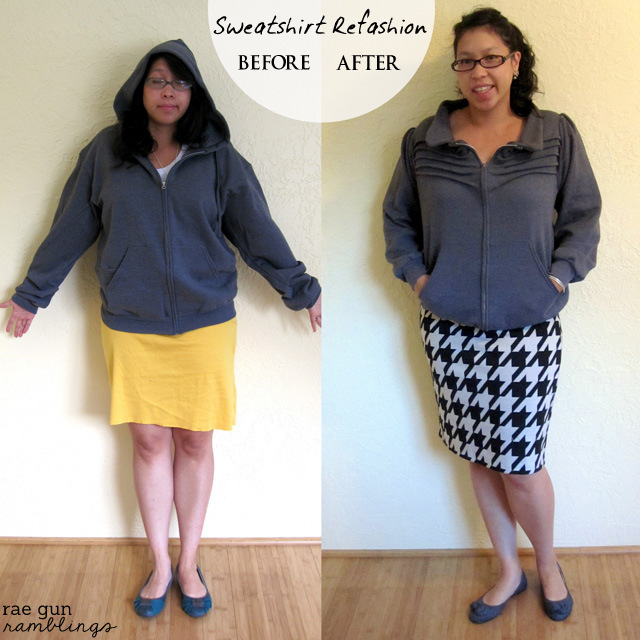 I’m a big hoodie fan so I loved the idea of an upcycled sweatshirt. On theirs they do a Mandarin collar but I made mine a little bigger and rounder to give it more of a Peter Pan feel. I was kinda silly and started off with a sweatshirt that was WAY too big for me but even then I thought it turned out pretty good. And if the sweatshirt had actually fit to begin with I think it would have been even better. The back has some fun pin tucks too. And of course I couldn’t resist poofy sleeves. The instructions were nice and clear and in words that were easy to understand. I’m excited to try more from this book. And there’s lots more for Craft Book Month see all the fun things in store below. yay for starting craft book projects! I do love the skirt too, but what a great idea to dress up a sweatshirt for when your office is 20 degrees but you still want to look cute at work. Great job. Marissa! You are so talented. I wish I lived near you so that you could teach me how to use my sewing machine that sits sadly in its box. I love hearing about new-to-me sewing books… this one sounds like a keeper! Thanks for playing along Marissa… such a cute top! See you at Sewing Summit! Love this refashion Marissa ! That is soo pretty and reminds me of a jacket I used to wear all the time. I have yet to figure out where it is. I really need to learn to sew.